While trying to login to your Sage 300 Company on Sage 300 workstations, sometimes users face an error “Database Error 49153”. In this blog we are going to discuss the solution to resolve this error in detail. Need to update the path of the Sage 300 folder of the Server in Shared Data and Programs. Refer below screenshot. 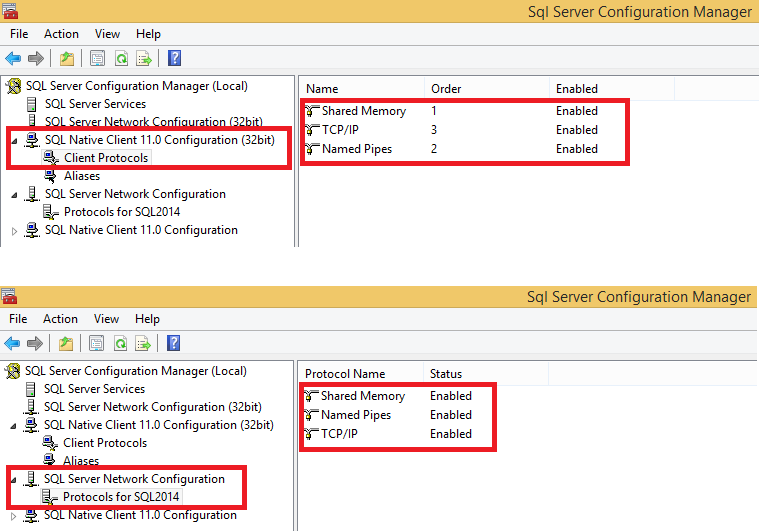 On server open “SQL Server 2014 Configuration Manager” and expand “SQL native Client 11.0 Configuration” option. Click on “Client protocols” and check “Shared memory”,” TCP/IP” and “Named Pipes” is Enabled or not. If this protocol is disabled then make it Enabled. After that expand “SQL Server Network Configuration” Click on “Protocols for SQL2014” and check “Shared memory”,” TCP/IP” and “Named Pipes” is Enabled or not. If this protocol is disabled then make it Enabled. Refer below screenshot. 5. Click on “SQL Server Service” and restart the SQL Server (SQL2014) service. 6. On workstation login sage 300 as Administrative right. In this way you can resolve Database Error 49153 issue on Sage 300 workstations.